Test pageOur 2018 Goal is $30,000! We have set our fundraising for 2018 goal at $30,000. 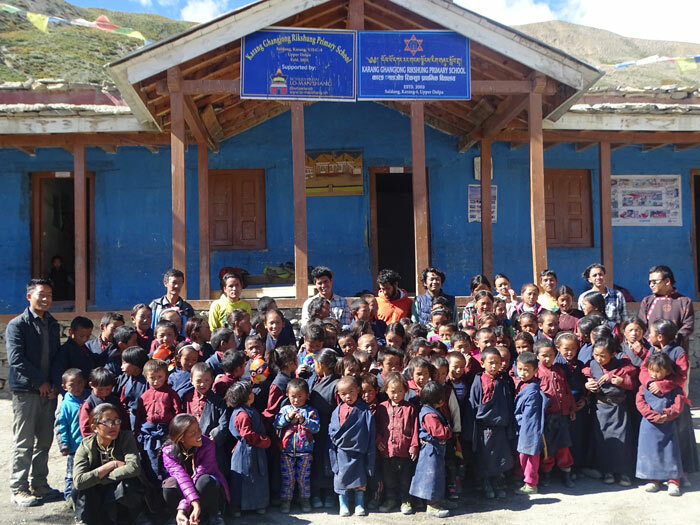 The decision for this level of support for the schools in the Upper Dolpo is based on the first hand experience we gained from the 29 day trek through the Upper Dolpo that we completed last October. We realize that to accomplish all of the goals outlined below, we rely on the kindness and generosity of people willing to support Altitude Project, and we are extremely grateful for any help and support we receive. 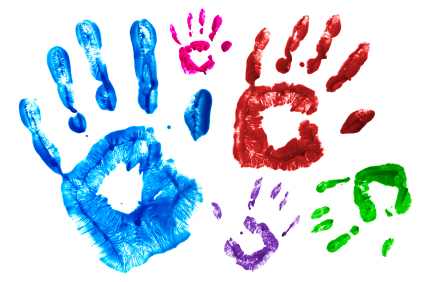 We treat each dollar as the precious gift that it is and assure all donors that every donation is used directly for the projects described here. We never use your funds for any miscellaneous costs. Any such costs are borne by the directors of the non-profit society. $30,000 is not a lot of money to accomplish all of these goals but because we work in a coordinated way with other non profit groups of people working in the region, we are able to carefully target the funds where they are most needed. During 2017, we learned of two neighbouring schools that require ongoing support because they lost their primary sponsors. 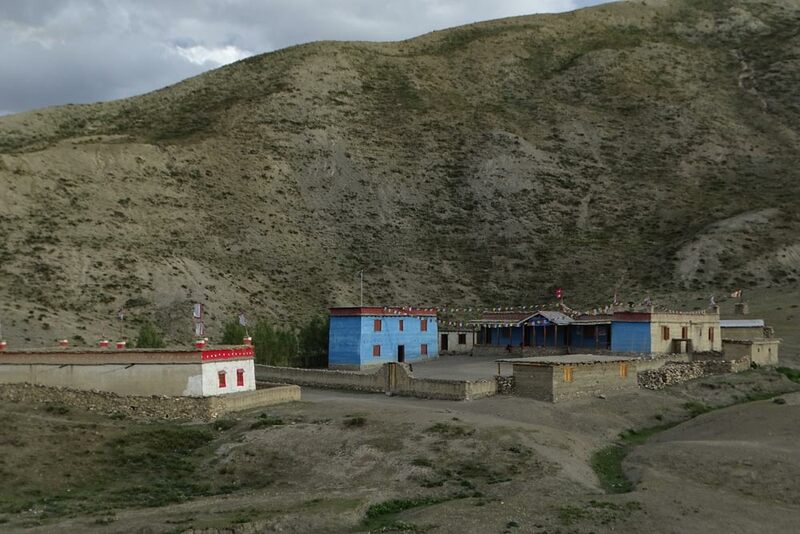 So, in addition to the school at Saldang, where Altitude Project began, we are hopeful that we will be able to provide support to the school at Komas, a full day’s walk to the east, and the school at Karang a two hour walk to the north. The timing of Altitude Project’s involvement in the area is somewhat auspicious. Saldang school will require less support for regular operating costs in 2018 than in the past two years, as the German group, Freunde Nepal, has been able to gain some ground on their fundraising since we began helping them two years ago. We were able to help the school at Komas in 2017 and we will continue with at least the same level of support. This school is also supported by a group from Sweden and a woman from Germany, and we coordinate our efforts with them. Komas school desperately needs a new toilet block that will consist of three toilets; girls, boys and staff – currently there is one toilet that works. 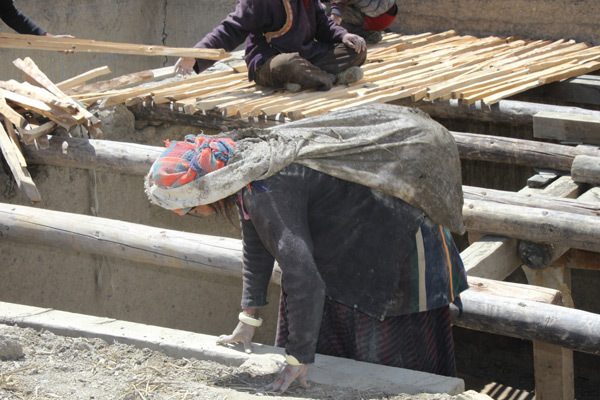 Altitude Project is hopeful that we can provide funding for this much needed project. We became involved with the school at Karang to a very minor extent in 2017. After visiting this school in October and learning about the complete loss of sponsorship, we are hopeful that we can contribute to this school in a meaningful way in 2018 as the primary sponsor. The infrastructure at this school is in good condition and they have a very good greenhouse. 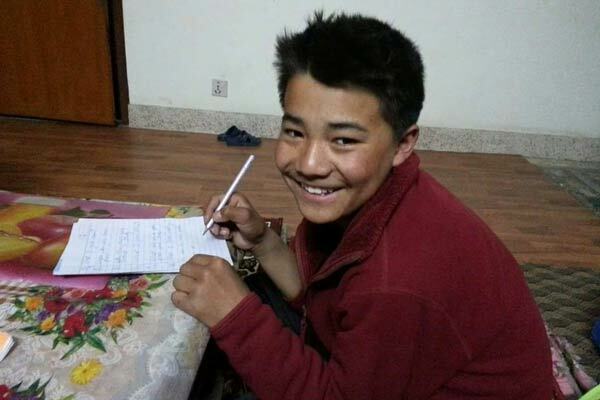 We will continue to support Tenzin Norbu as he completes his higher education in Kathmandu. He will be entering class 8 this year and is doing well in his new environs. Saldang School only goes to class 6. The schools at Karang and Komas go to class 5. 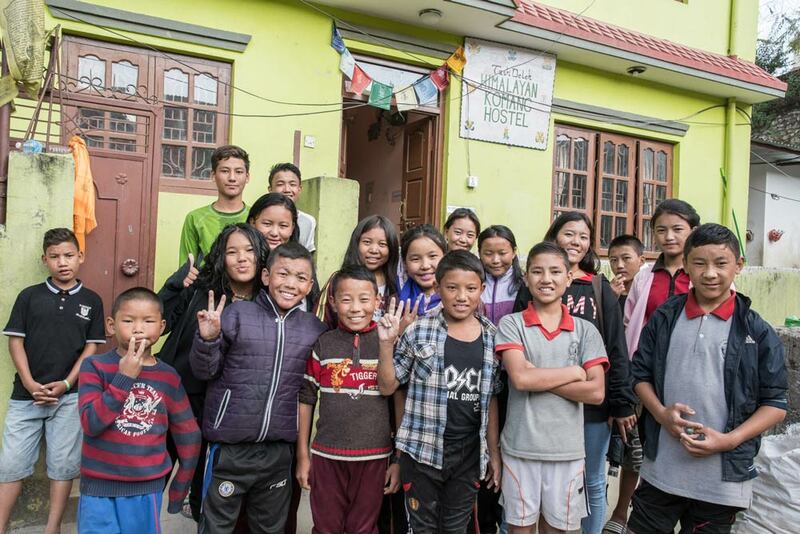 In order to continue their education at a Tibetan high school, students must move to Kathmandu, the capital city of Nepal and a world away from the Dolpo. Please read more, these are truly amazing kids! And then there is Nyima Bhuti, the young woman from Komas, who manages the Himalayan Komang Hostel in Kathmandu for the students from Komas that wish to finish their higher education. Nyima has been managing the hostel for four years without any compensation because her father, Tulku lama, asked her to do so. 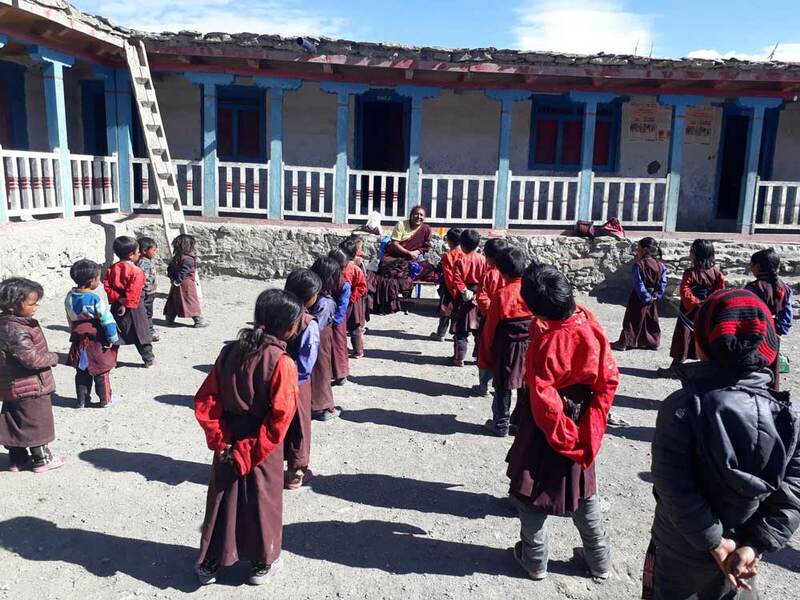 She is housed and fed, of course, but she cares for 26 children, getting them to rise early for their Tibetan lessons and prayer time before their regular school session begins. We are hopeful that we will pay able to pay her a nominal salary for the tremendous work that she does for the children from her village. 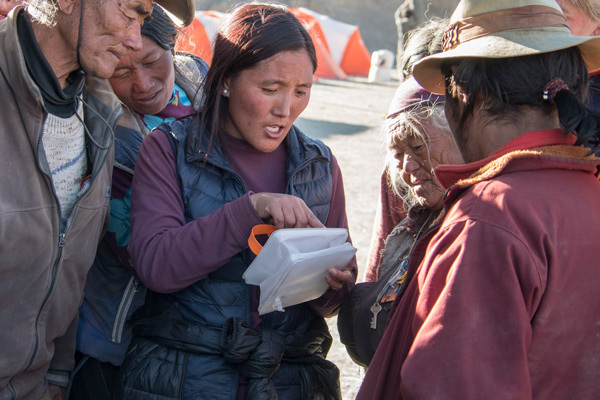 In October of 2017 when we trekked to the Upper Dolpo to visit the schools, we took 15 portable solar lights. The cost of each light is ~ $20 US. They provide ~ 150 lumens and can be hung like a lantern – a very practical design. We wanted to test their durability and usefulness so only took a few for elders with very poor vision. In 2018 we raised enough money for 125 lights. They are proving extremely useful; as a general light in the home, to travel to the toilet at night; to help students read and study in the evenings, and to visit neighbours. Many of the older adults suffer from very poor eyesight due to long hours of sunlight working in the fields at such high elevation (14,000 feet!). (A doctor visiting with Nomad’s Clinic said “that when he looked into their eyes with an ophthalmoscope he rarely saw a “red reflex”—the red light bouncing off a healthy retina. Instead, he saw the opacity of eyes beginning to form cataracts from long exposure to the blazing sun of the high-altitude desert.”) The elders say these lights have really improved their quality of life. For 2019, we have a request for 100 more lights, complete with names of individuals and their village location. We are able to purchase these lights at a considerable discount for charitable purposes through LuminAID and offer very special thanks for their help!